Programs start at 2pm and are held at our store. Not everyone has the right habitat to attract nesting bluebirds. But you can still enjoy the thrill of nesting birds in your yard! Chickadees, Tufted Titmice, Nuthatches and wrens and more all take readily to nest boxes. 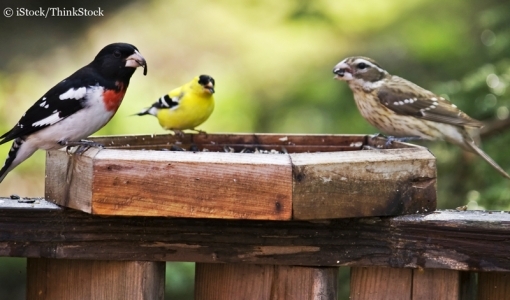 Find out which birds you can attract based on the habitat of your yard. Margaret will also share some fascinating information on courtship, nesting behavior and parenting! Attendees will receive 15% off any birdhouse. The world of binoculars can be very confusing. But a good pair of optics adds so much to backyard bird feeding and bird-watching. This class will address the ins and outs of binoculars, what all those numbers mean and which pair is right for your type of birding and your eyes. We'll have lots of optics for you to try and . . . thanks to Vortex Optics, you could win one of two pairs of binoculars that will be raffled off to all attendees FREE!